Innovative, arty, handy and vibrant. 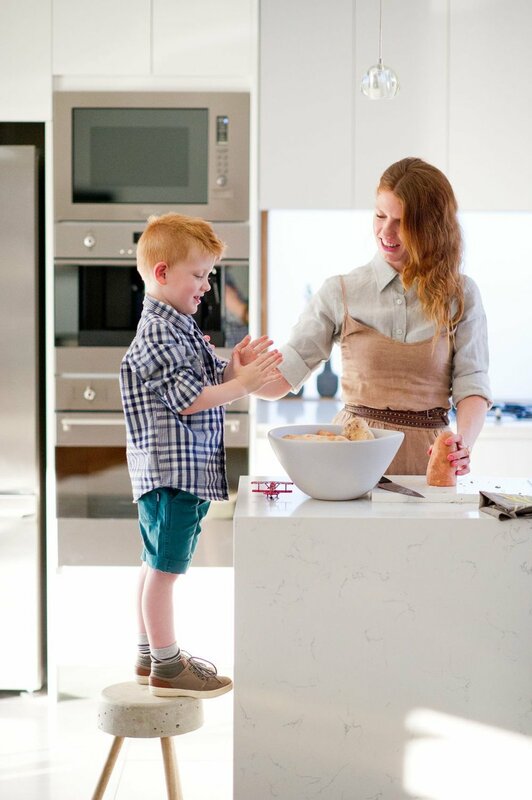 For over ten years, Katie Jane has been renovating houses on the NSW coast and providing a range of interior design services for locals and small businesses. Recently, she has been styling and photographing products for interior, food and lifestyle brands and collaborating with talented creatives all over the world. Her cool coastal style, super skills on the tools, sense of fun, and food and interiors obsession, result in clever and striking photographs and spaces. Katie Jane is forever on the go and when she is not running her content creation business, Pretty Squares, ripping down a wall (or three) in her latest home renovation or photographing her millionth flatlay for social media, she is out and about with her gorgeous family.